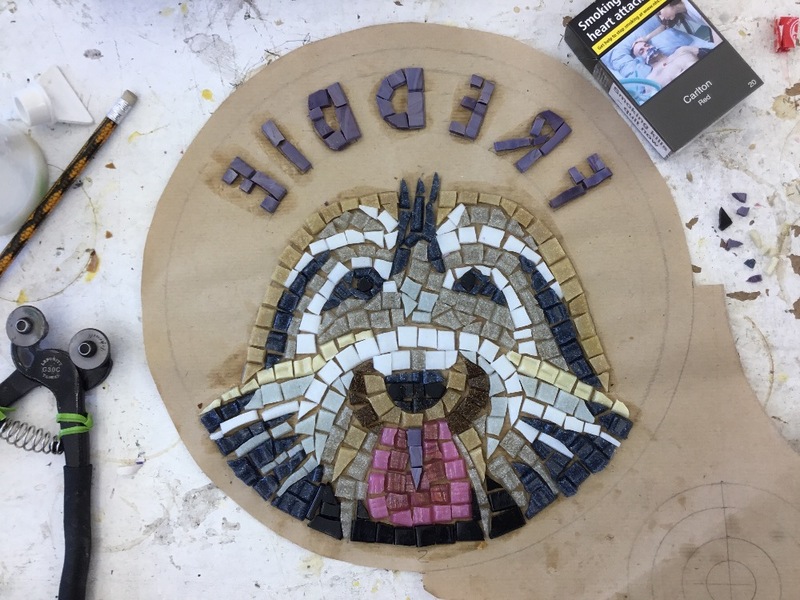 Hackney Mosaic Project aims to help people with addiction and mental health problems, while at the same time creating beautiful public art. 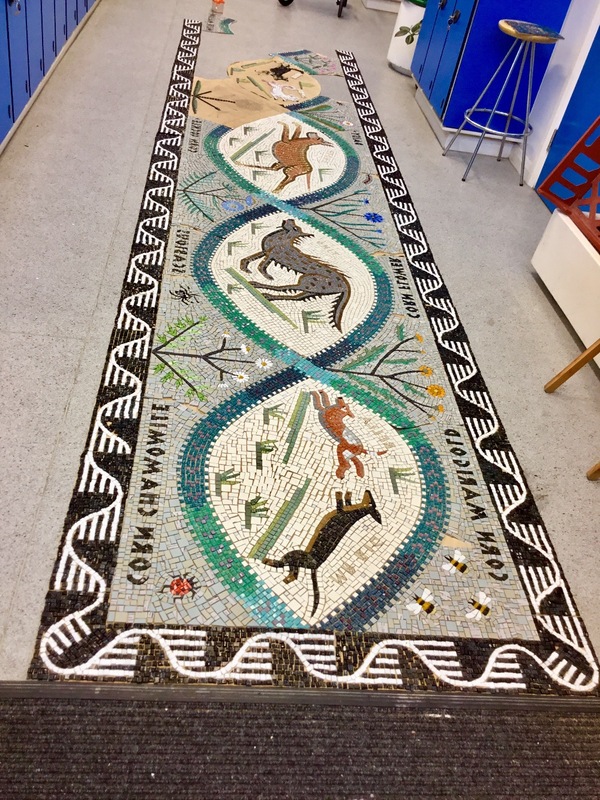 So far the project has made large public mosaics in Hackney Downs (where the current workshop is located), St Paul’s West Hackney, Shepherdess Walk Park, Albion Road N16, Yoakley Road N16, Sainsburys at Old Street, Packington Estate N1 and even in London and Whipsnade Zoos! 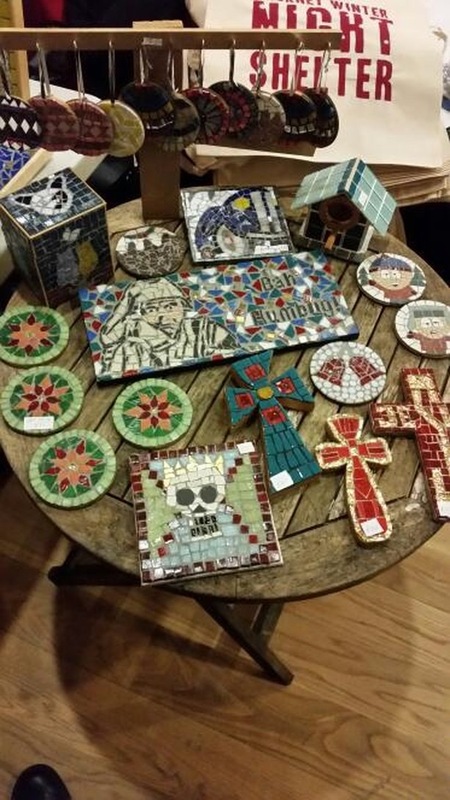 The project does not just make colourful pictures out of broken tiles - it also helps to piece back broken lives. It builds a supportive community by bringing people together around a shared vision. 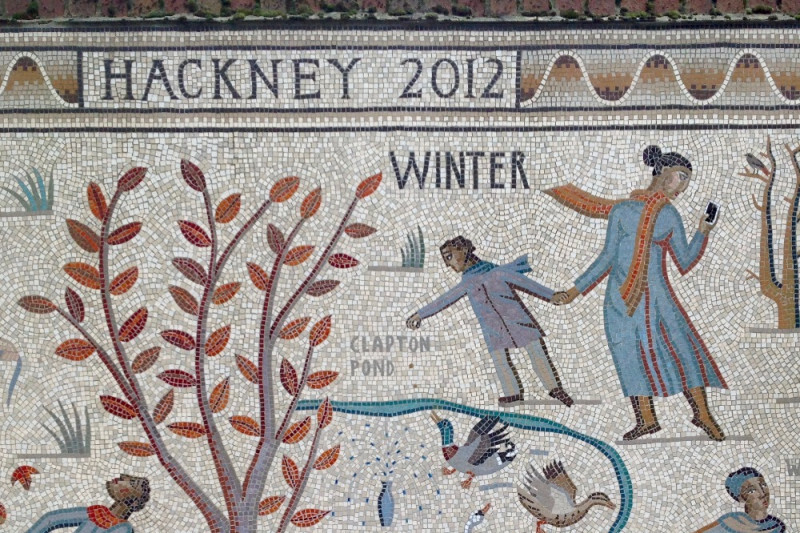 Hackney Mosaic Project has received several grants from local parochial trusts over the last few years, for which we are extremely grateful. However, we always need to raise extra money, and in particular to enable work to continue, we need to raise funds to pay the rent to give stability to the project. Please donate what you can - any amount, large or small, is valuable and appreciated. 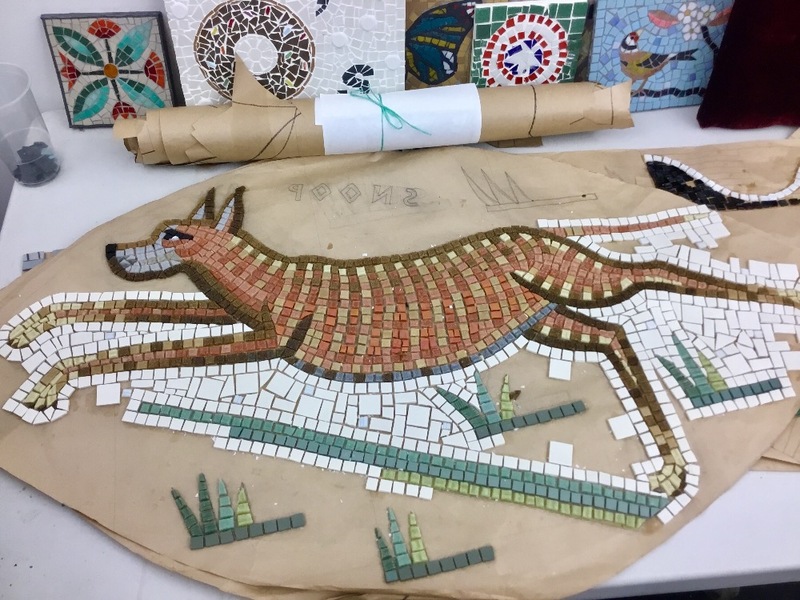 The team has nearly completed work on the large wall mosaic depicting local dogs, which should be installed in Spring 2018. Check our regular updates to stay informed! 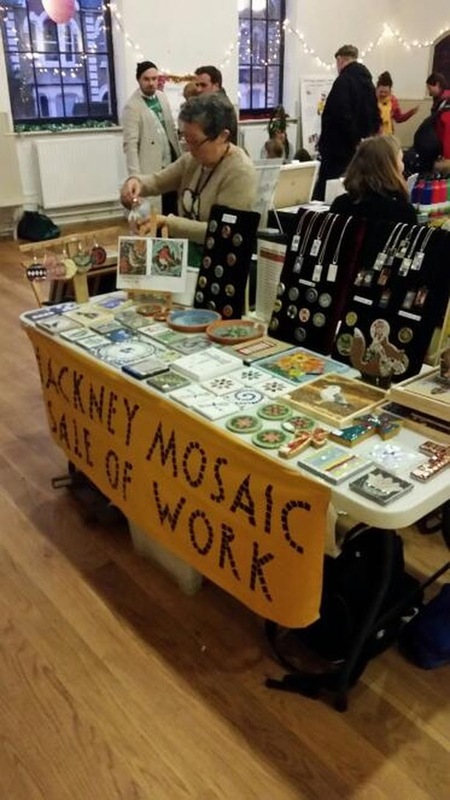 Or you are very welcome to come and see us at work, in the Hackney Downs Pavilion, centre of Hackney Downs Park. The workshop is open 2-5 Wednesdays, 10.30-5pm Thursdays, and 2-5pm every other Saturday (check the website for weekend dates before visiting). A very happy Christmas to one and all. Thanks to the generosity of our donors, we reached our target in time for Christmas. 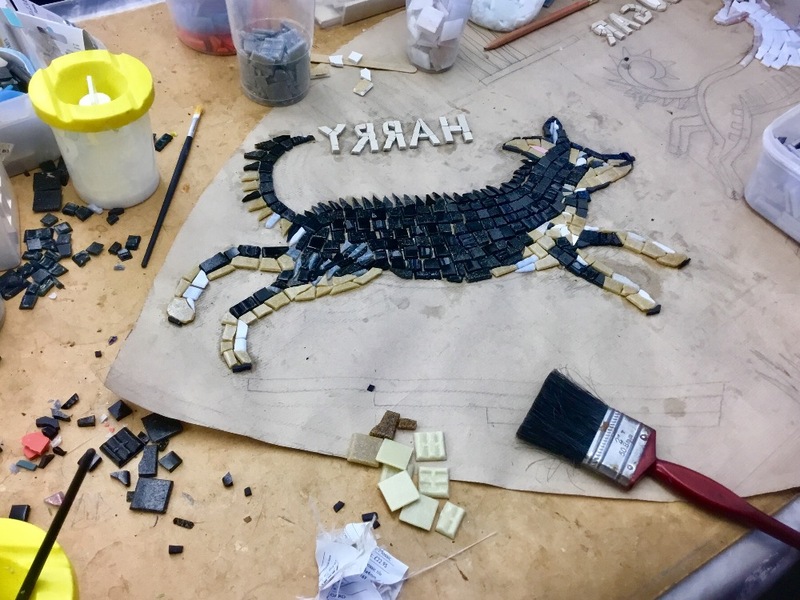 The dog mosaic we are making for a wall in Hackney Downs Park is well under way - previous updates have shown some of the panels. 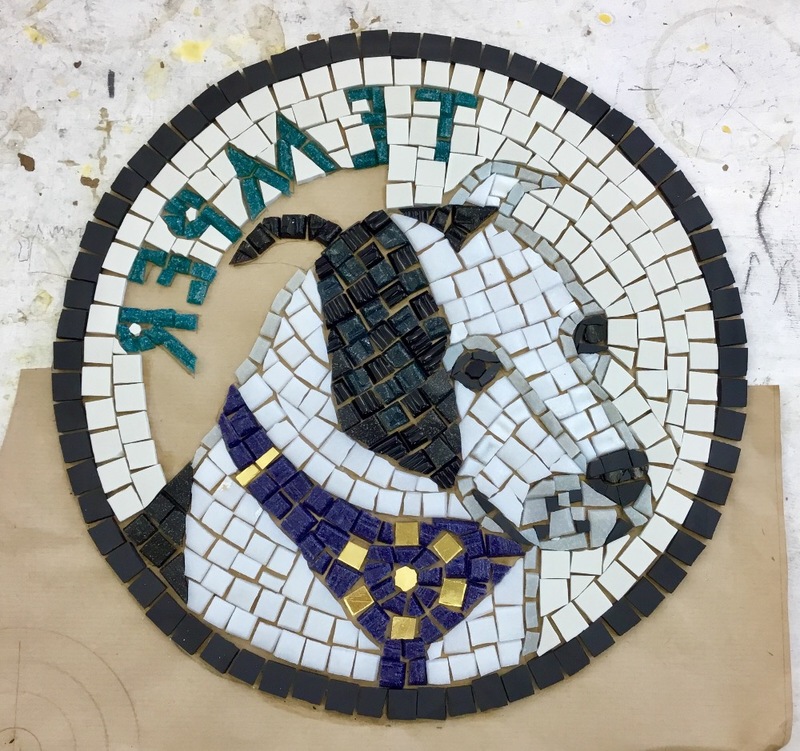 All the dogs pictured in the mosaic are real dogs we know who visit the park regularly. So far, we have made panels showing Big Boy, Bella, Snoop, Tino, Harry and Sugar. Still to be assembled are the panels showing Bailey and Maude. 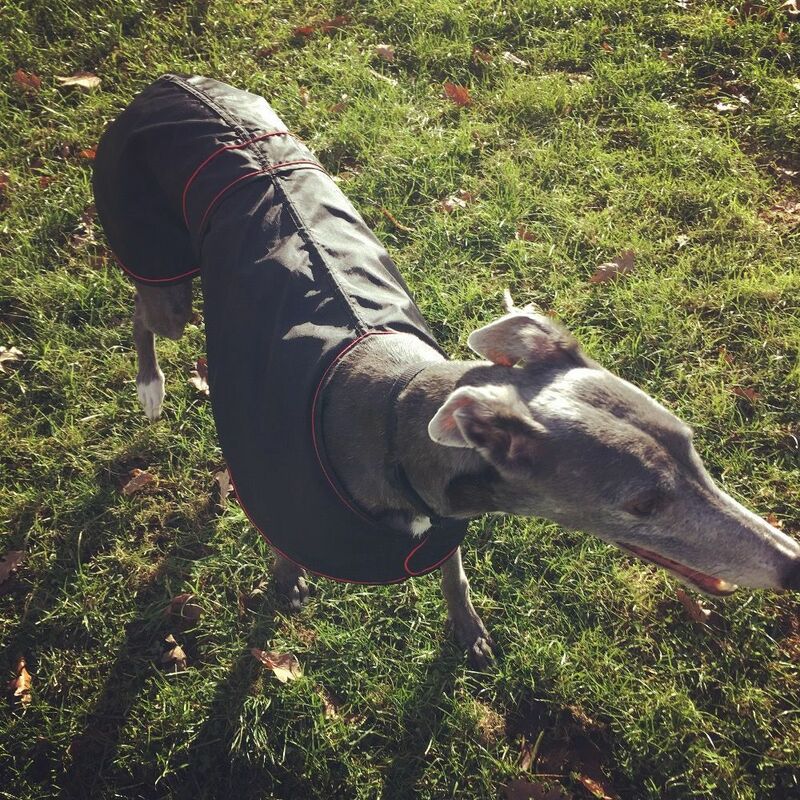 Maude is Billy’s dog (see picture below) and Billy has made generous donations to the project including the final £70 which brought us to a triumphant jackpot. Thank you. Thank you. And thank you again, to all our supporters. Thanks to one of our star supporters Billy (and his dog Maude) we have today reached our target of £3500! 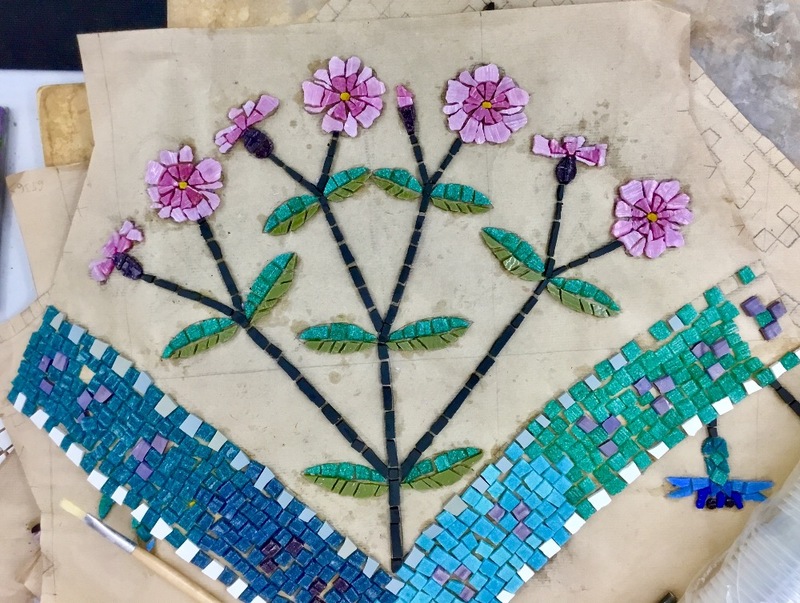 Maude will feature in the large mosaic we are currently constructing for a wall in Hackney Downs, due to be installed next spring (see a couple of pictures of progress below). Merry Christmas and a million thanks to all our supporters! Harry - a permanent project member! Thanks to another donation of £100 received today, we are now within sight of our target, only needing another £140 to hit it! Thanks so much to all our supporters for your open hearted generosity. We had another sale last Friday (see pictures below) which also brought in over £200. Great news for the festive season!